Home / canned good / dole / Fresh / fruit crisp / fruits / juices / pineapple / summer / Summer Time is Dole Time! Summer Time is Dole Time! It's summer time! Wondering what's the best way to make the most out of this season? How about engaging to exciting activities with your friends and family with the most refreshing offering this season - fresh fruits and juices from Dole! Seek the most thrilling place in the world! Explore the beauty of our very own country. And indulge on a mic of culture and tradition that are sure to keep you young and free this summer. Take the plunge and do extreme activities! Spin like crazy with Boracay's funtastic array of beach activities, maybe trek up to the highest mountain of Luzon and see the sea of clouds up there in Mt. Pulag or maybe fly like a superhero in Cagayan de Oro's zip lines. Summer is definitely all about being active and fun, but of course, don’t forget to complete the fun with Dole, the perfect companion to keep you refreshed as you enjoy your summer activities. 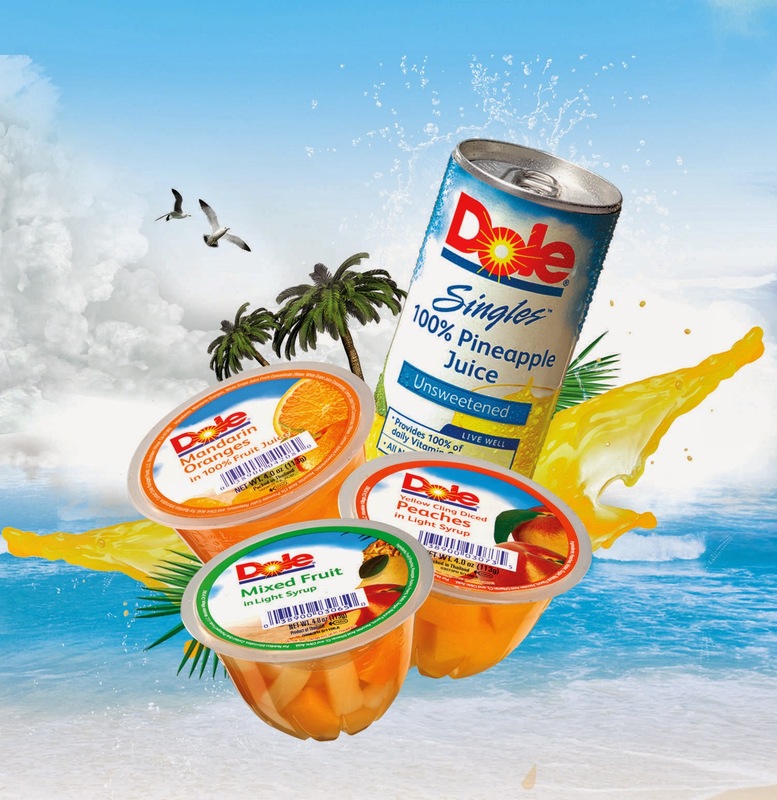 Pack up a Dole 100% Pineapple juice drink as you proceed to your next travel destination. Juice up and make sure to quench your thirst when you head to the gym for your daily workout. Made from the finest, sun-ripened, freshly picked pineapples rich in Vitamin C, Dole Pineapple Juice is your healthy choice and revitalizing tropical summer escape. You can also grab a Dole Fruit Crisp cup as a juicy snack after a long, tiring day. Its sweet, crunchy taste will satisfy your summer craving. What’s more, you can indulge in its great taste without adding the pounds to keep you fit and slim all summer long! Or better yet, try a new summer recipe with the sweet, juicy taste of DOLE Canned Pineapples. Treat your family to the mouth-watering taste of 100% pineapple flavor and add a splash of tropical freshness to your ordinary meals. DOLE’s can of pineapple slices has the highest level of potassium, a heart friendly mineral. Enjoy summer with DOLE's variety of quality fruit products that have the power to rejuvenate the body like no other. It will definitely keep you on the go to make the most of your summer fun and refreshing. DOLE products are available in all major supermarkets in the Philippines. For more information, you may also log on to our Facebook Fanpage, www.facebook.com/doleph.